Even though a Chapter 13 Bankruptcy lasts between 3 to 5 years, you do not have to wait 3 to 5 years before you can try to use credit. Chapter 13 filers will also see a reduction in their debt to income ratio, but it will not be as rapid as with a Chapter 7 filing. In a lot of instances you can finance the rest of your Chapter 13 Bankruptcy after about 18 months. This is particularly true if you have equity in your home. Just because you might be able to find a lender willing to lend you money doesn’t mean you should right away. You should first take time to rebuild your financial future by saving money and raising your credit score so that you can get more favorable terms. A great way to raise your credit score is to start with a credit card (an unsecured debt) and pay off the balance each month. Once your credit score gets to around 620, you are then in a position to start shopping around for the best terms and rates for obtaining a loan. How long it takes to get your credit score back to a good rating will largely depend on what your score was before you filed bankruptcy. Depending on how low your credit score was and how much time has passed since you obtained your bankruptcy discharge, a bankruptcy can affect your credit rating for up to 10 years if you filed a Chapter 7 Bankruptcy and up to 7 years if you filed a Chapter 13 Bankruptcy. 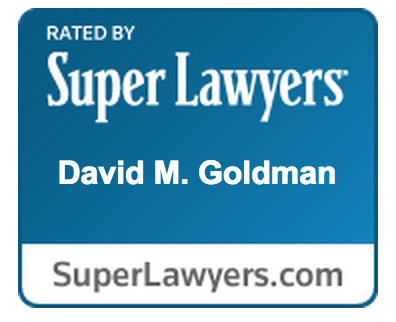 If your debt has become more than you can handle and are wondering if bankruptcy is the best option for you, call the Law Office of David M. Goldman, PLLC for more information at (904) 685-1200. Bankruptcy is a difficult decision and our experienced bankruptcy attorneys can help you navigate through the difficult process and help put you in the best financial position possible for your future. Bankruptcy is not just about your today. It is about your yesterday, today and tomorrow.